Even though no one ever told me in so many words when I was a child, I had this idea that I needed to say “Crucify Him!” during the Mass. I knew, even though it made me cry (even as a very small child), that I was responsible in some way for what happened to my Beloved Jesus. No one ever told me that, and I don’t recall my CCD teachers being blunt enough to say that my sins were responsible for Jesus’ death, but I knew it. And I think that the reason I knew was because every year the people in the pews would help to proclaim the Gospel. Just once a year, and we did it just to accuse ourselves of Christ’s death. It’s a tradition that deserves a comeback. It’s a silent catechism: gentle, but stern. It helps even small children to understand that we are the ones denying Christ, that we are the ones putting the nails in His hands and feet. 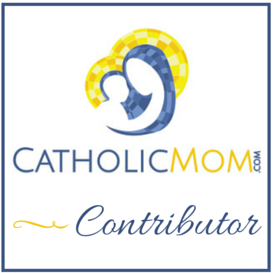 Read the rest at Catholic Mom.